I’m taking a step back and sharing my latest blog updates, including guest posts, bounce rate, image optimization, Pinterest, copyright and more! After packing up the Christmas decor, hosting guests and getting our paperwork and medical expenses sorted out for 2015, we took a bit of a break in the Rocky Mountains. My husband surprised me with the getaway for my birthday (like he has before), which meant I only had a couple days notice to get everything ready- eek! That’s okay though. I used to be that person who had to have the house spotless and everything in order before I left on a trip, but over time I’ve learned to let it go (a bit anyway). Perfection has a tendency to interfere with happiness, doesn’t it? In regards to our main floor renovation, we’re pretty much finished. We’re enjoying the new space for now, but it’s definitely time to get going on the decorating aspect. I’m so happy I’ve been able to move my attention from paint, tile, countertops, hardware and cabinets to furniture and accessories. This week, I’m working on ordering some new furniture, creating artwork and shopping for accessories. Time willing, I’m also hoping to add the top coat to our farmhouse table. Of course, I do plan on sharing photos with all of the details. Winter lighting tends not to be the best, so timing of the posts will depend on my success with the camera. FYI: Most of what I’m about to share in the remainder of this post pertains to blogging practices. If you’re simply not interested (like it bores you to death), check out my latest here instead! Behind the scenes, I’ve also been working on reorganizing the blog and updating old posts. I’m no blogging expert by any stretch of the imagination, but I’ve definitely developed better practices over the years. One thing I wished I had known starting out as a blogger was to upload my own copy of an image whenever I had guest posters. Most often, bloggers simply sent the code which included images stored in their own media files. 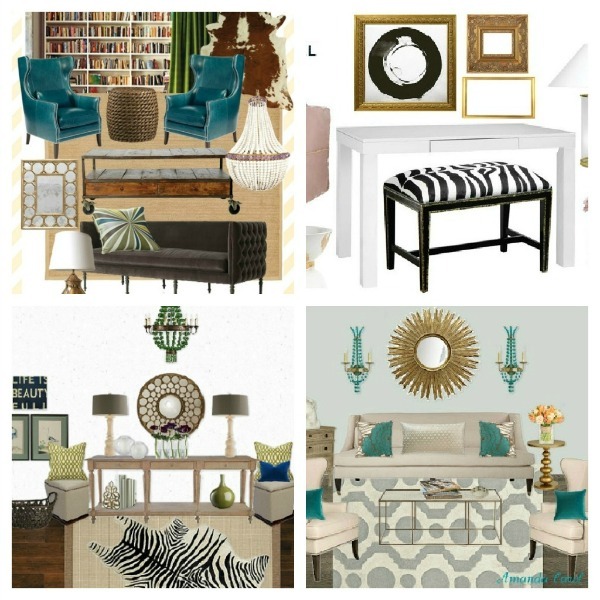 Some of the guest posts on my blog (from the Designer Challenge, for example) were missing images because bloggers made changes to their own media files or shut their blogs down. Thank goodness I was able to locate most of the lost images on Pinterest and salvage those posts! Another blogging goal I’ve been working on is lowering my bounce rate. What that means is increasing the number of pages a reader views while visiting Satori. Mine isn’t terrible, but I’ve been aiming for better. Since the beginning of January when I started making some changes, I’ve noticed a bounce rate drop of 5%. I still have a ways to go, but I’m happy with the results so far. Some of the best advice I got from other bloggers was to use google analytics to determine my top posts and add those posts to the bottom of similar posts (or naturally within). For instance, one of my top posts for 2015 was Beautiful Front Door Colors. Taking this guidance, I went back and added the most pinned graphic from that post (from Pinterest analytics), as well as the link to other paint and outdoor related posts. Within a couple of days, I noticed a considerable drop in my bounce rate. The next blog issue I’ve been tending to is optimizing images. Some early posts are still missing alt tags for images, which means they likely won’t be found in google image search. All of that time to complete the project, stage it, photograph it, edit it and upload it to the blog has been wasted if no one ends up seeing it. If you’ve dropped the ball (like I did), check out google’s guidelines for optimizing images to see what you can do to make improvements. 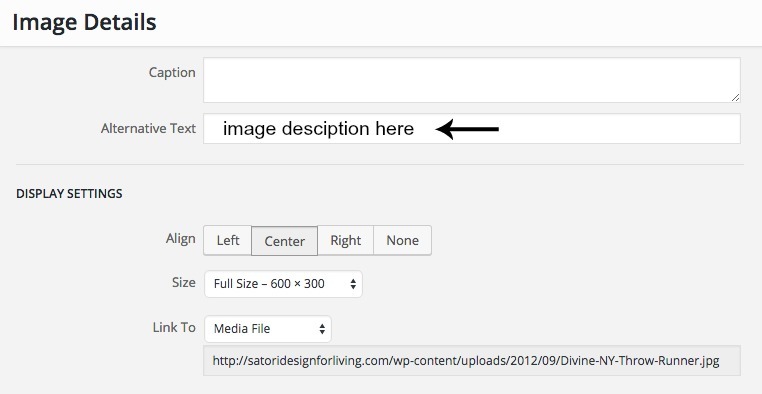 If you’re using WordPress, be sure to fill in the image details box for each photo or graphic you use. With the latest changes to Pinterest, it’s also a good idea to update the meta description (aka the snippet that’s shown along with the blog post title and permalink in search results). The final (and probably most important) blog update I’ve been focusing on is making sure images are linked to their original sources and that I have permission to share those images on my blog. That means no Pinterest, Flickr or “source unknown” as some bloggers still tend to use. Most bloggers are thrilled to have their work featured as long as you only use one photo plus a link to the post. However, I’ve come to realize it’s very important to do your homework and ensure the photo is indeed the blogger’s and isn’t under copyright protection. Always read the policies! For quite some time now, I’ve contacted blog/website owners to gain permission to use their photos. I print these emails and store them in a file in my desk just in case. Some bloggers have written about the blogging mistakes they’ve made and the terrible consequences of those actions. To know there are predators out there just waiting to cash in on unknowing mistakes is very unsettling! Don’t be surprised if you see these “Behind the Scenes” posts moving forward as a way to keep you updated when I’m busy building other aspects of Satori. Although I still plan on blogging, my business is branching out (more on that to come later this year), which means posting may not be as regular as in years past. Who knows, I may surprise you and have more. One can never predict these sorts of things! Of course, you can always see what I’m up to on Facebook and subscribe to the Newsletter so you never miss a thing. It hadn’t occurred to me to add top related posts to the bottom! I usually find a way to back link, but sometimes that can lead to awkward phrasing. This is the answer, clearly! It takes a bit of work but I think it’s worth it. Thanks, yes, I had a nice break away! Its so much work isn’t it? Glad that you’re seeing good results from it! 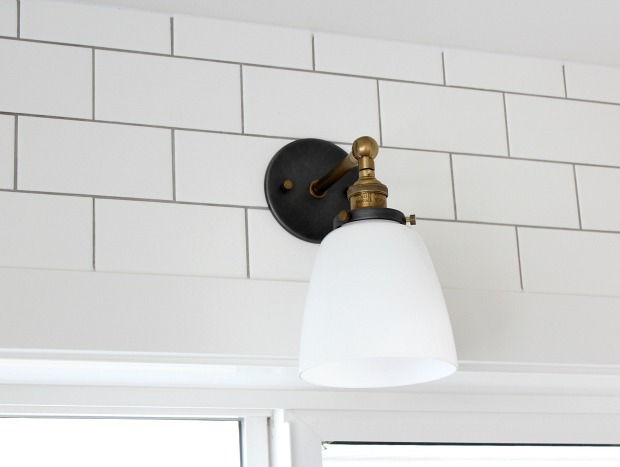 The sneak peeks from your kitchen are so pretty, can’t wait to see the rest! A blog is a never-ending work in progress!! And, yes, our kitchen turned out good, I think. Just need to put the photos together (if we ever get a bit of sunshine!). Hello Shauna! Happy belated Birthday, that was really nice that you got to go away for a little vacation!! I bet the Rockies were just gorgeous! I like your kitchen glimpses (and I want to see MORE!!!) I’m sure it’s beautiful – you have such a talent for decorating!! I read your behind the scenes blogging part and appreciate all the hard work it takes to run a blog. It looks great here and I wish you much bloggy success in 2016 – hugs!! Thanks, Heather! More on the kitchen to come (soon, I hope)! Happy Birthday! I love that your hubby surprises you with trips… It is so lovely! As for your hard work on your blog…You are putting me to shame! I have been putting my blog on the back burner amidst everything else. Thank you for all the tips and inspiration! Yes, he’s a keeper (most of the time lol)! Something has to give, doesn’t it? 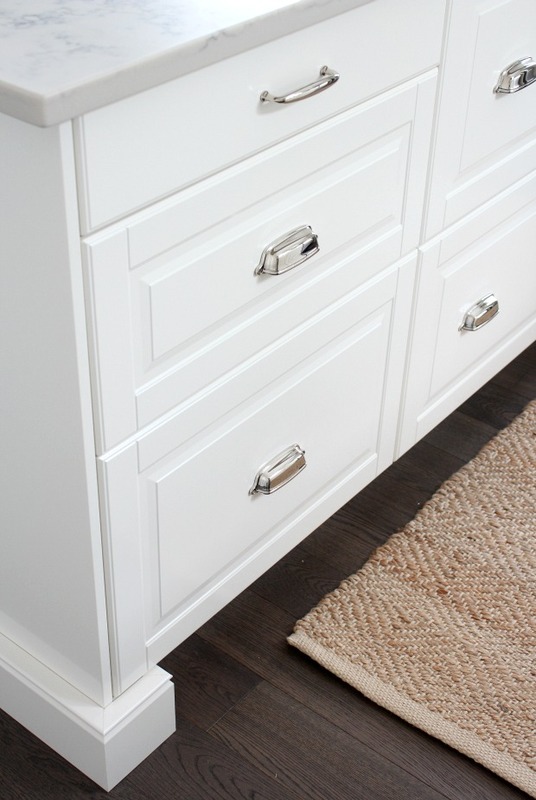 I focused on our renovation and let the blogging slip. Now I’m playing catch up! It feels so overwhelming sometimes to think about going back and fixing things… but this goal list is very helpful, thanks! I can’t wait for your reveal… Eeeek! A great way to reduce bounce rate is to include embeded videos in your posts. Wow! This is a jam-packed post Shauna. I really appreciate the tips and Google link. You truly are an inspiration. Thank you for sharing… as you always do! I hope your surprise get-away was just awesome!! Thanks Sheila. Those getaways always seem to come at the perfect time!